Aurukun is a town situated close to the far northern tip of Australia, on the coastline of the Gulf of Carpentaria. It’s an area rich in biodiversity and history. Its Indigenous communities have lived there for tens of thousands of years, cultivating and managing the incredible array of local ecosystems and flora and fauna. It was even a site of contact with Europeans some 170 years before the first fleet arrived, during the Janszoon voyage of 1605-6. Now, Aurukun is a focal point for seeing Indigenous communities return to managing their traditional homelands, using a mix of old and new science. Since the centralisation of services such as school, health and employment in Aurukun in the 1980s, it has become increasingly difficult for Wik families to visit their traditional lands south of the Archer River. The Archer River poses a significant barrier to accessing country. For the people lucky enough to own a boat, it’s a 30-minute ride across the Archer to the closest muddy landing. But without a car and fuel on the other side of the river, there’s little chance to access the more remote homelands, located another 150 kilometres south of the river across vast, seasonally-inundated floodplains. Due to annual flooding and tidal activity the most southerly homelands can only be accessed by car for around two months of the years (between September and November) before tides and monsoonal rain fill up the crossings again. And the expense and logistics of travelling south of the Archer River means that many traditional owners cannot access their homelands. Some Aurukun kids have never actually visited their traditional lands. 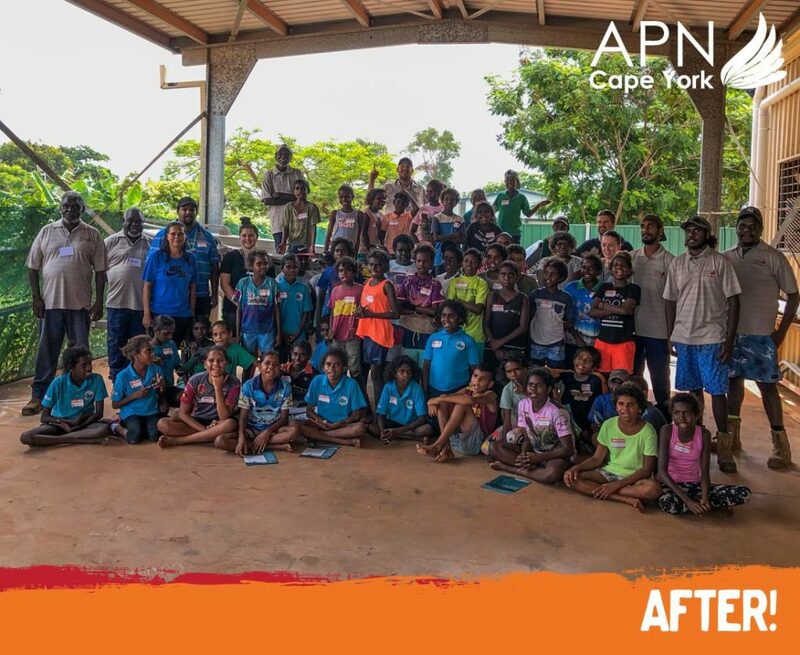 APN’s Returning Generation Camp is run by local Indigenous Rangers and Wik elders. In language, the camp is called Tha’ Pemp Wuut Mangkantam. Our land and water scientists have also been invited to attend the camp for the past three years. Our scientists help the Rangers and elders to expose the next generation of indigenous rangers to the common ecological monitoring methods that APN rangers use to make decisions about how they manage their country. The students learn how to protect endangered turtle nesting sites, manage cattle and feral pigs, and how to uses of controlled fire to look after the country. 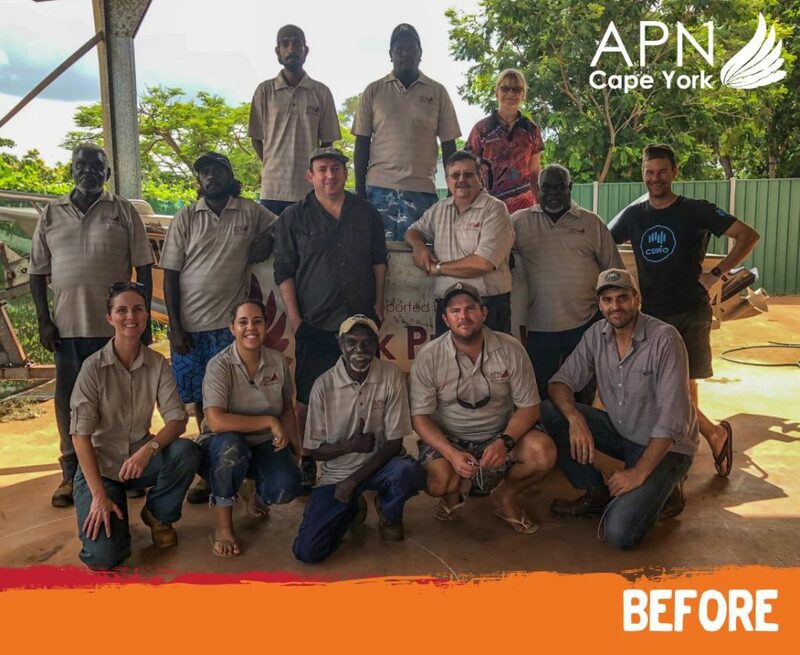 But most importantly, the camp is an opportunity for the Aurukun kids to reconnect with traditional cultural practices and customs alongside the rangers and Wik elders—many of whom are also direct family. This year, 26 year six students went on the camp, spending five days on the southern side of the Archer River. But the journey itself was an adventure! Getting 26 kids to the camp is a bit different to a school excursion most Australian kids would be used to. For the past two years the kids bounced over dirt roads on a 13 hour bus ride from Aurukun. To cross the Archer River, the bus was driven over 200 kilometres to the centre of Cape York where the Archer River can be crossed. Once they crossed the river they had to travel around 100 kilometres south, 160 kilometres west, and across five large cattle stations to reach their destination. But this year the kids and elders where transported across the Archer River by boat and then picked up in waiting troop carriers. From there, they bumped along a tiny track that weaves its way along the edge of the Archer River for 40 kilometres back to the APN ranger base at Blue Lagoon, where the camp was held. That’s when the real fun started! The camp also provides an opportunity to promote the importance of science, technology, engineering and maths (STEM). “Not only does Returning Generation familiarise the kids—who will be future land managers—with science to help them look after country, it also hopefully lets them see science a viable career option for when they grow up,” says our research scientist, Dr Justin Perry. Find out more about our work in collaborative land and sea stewardship.